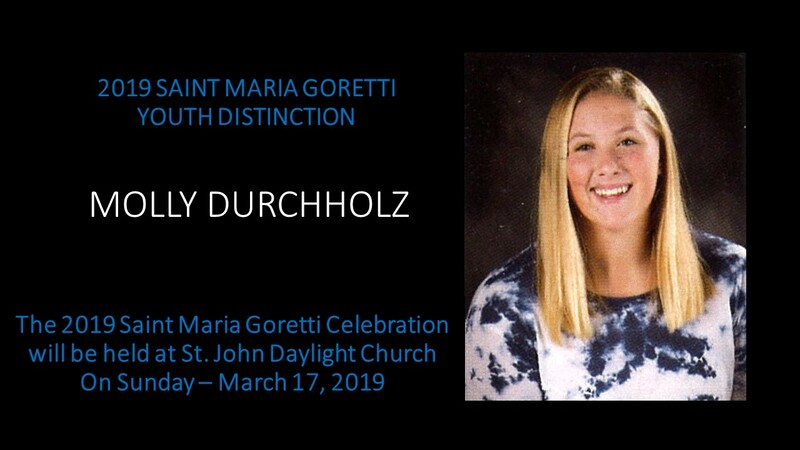 The Saint Maria Goretti Youth Distinction recognizes adolescents for their outstanding contribution to the life, mission, and ministry provided to their family, parish, school, and community. The distinction is celebrated annually as a Local Church at the Celebration of a youth Mass. A High School student who actively lives out his/her Catholic faith is eligible to receive this distinction. 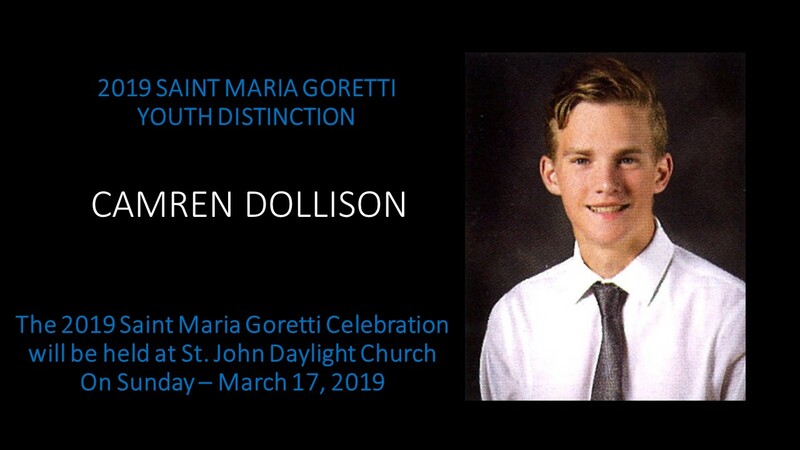 It is strongly recommended that those nominated be active in both religious education classes and the parish youth ministry program. This is a recognition of the youth’s involvement in many aspects of life–family, parish, community, and school. This is an honor that recognizes service, leadership, and involvement as a Catholic in the world.